Our children love dinosaurs. I am sure that they are not alone in this fascination with these giant beasts of the past, but for some, this fascination is not to be encouraged. 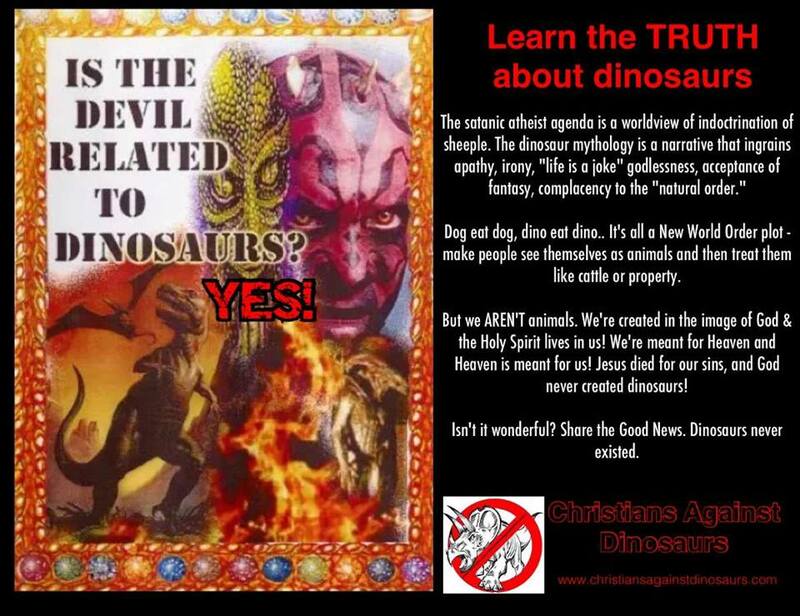 There are some well-meaning Christians that believe that dinosaurs are from Satan or that God put evidence of dinosaurs in the fossil record to test our faith. Behind these ideas are likely an effort to make a certain view of Scripture fit with the observations of modern scientists. Butterflies: Intelligently Designed or Improbable Accident? This week, we watched Illustra Media’s Metamorphosis: The Beauty and Design of Butterflies. Wow! We had no idea how richly complex the butterfly lifecycle actually is, and were floored by the thorough presentation of growth and transformation from egg to caterpillar to chrysalis to butterfly and then by the sheer improbability of the Monarch butterfly’s migratory pattern. At the end of the video, we were left staring blankly at each other, struggling to understand how anyone could chalk these creatures up to random, undirected chance. Please, give it a watch(you may be able to check it out at a library, like we did, if you aren’t able to purchase) and let us know your thoughts. This film, while visually appealing, will probably lose the attention of a younger child. There is fairly complex terminology at times, and it is just over an hour long, so it may be better suited for the approaching-junior-high age and beyond. One suggestion might be to watch the film yourself, and then raise some butterflies with your children. As the butterflies grow, you can explain to your children what different things are happening within the caterpillar and chrysalis. We found a butterfly kit here, but there are probably plenty of places to pick up one of your own. At times, the fittingness of the film is poor(there seems to be African music in the background, yet all of the subject matter takes place in North and Central America?) but as a whole, the quality of the content is very high. Purchase Metamorphosis through Illustra Media here, or watch a preview here. Watching Metamorphosis got us thinking about evolution and intelligent design, so we decided to round up a few resources for you, many of which you can share with your children. Even if you don’t have children, these are good things for adults to know and to have on hand. This is another video by Illustra Media that is probably too weighty for very young audiences, but is a boon for young (and old) adults. Check out a review of Darwin’s Dilemma on Apologetics315. Parents, this pdf is for you. Produced by the Discovery Institute, it presents the debate between Darwinism and intelligent design, and explains why it is so important to understand. It provides definitions of evolution, explains clearly the stance and validity of intelligent design, and even presents problems with scientific Darwinian evolution. Pages 22-24 provide brief action points for parents(Parent or not, support intelligent design and become an advocate for its teaching in public schools and elsewhere) to help equip publicly educated kids defend their position and be able to discern logical fallacies that they will hear at school. Pages 25-27 list a number of excellent resources including videos, books and textbooks. It is a 30 page document that was helpful for us as we plan the education of our future children and also have discussions with other folks that are already navigating the waters. A reflection on evolution being philosophy, not science, on Stand to Reason’s blog. Looks like an interesting listen.